Let's Keep Jekyll Island Affordable! Dating back to its founding legislation, Jekyll Island State Park has operated under a legislative mandate calling for its facilities to be affordable for people of average income. Mandated too is that the Jekyll Island Authority–the state park’s governing body– be financially self-sustainable. For decades, the affordability and self-sustainability mandates reinforced one another, as affordable facilities resulted in more visitors and greater revenue for the Jekyll Island Authority (JIA). Recently, concern about the future of Jekyll’s affordability tradition has arisen with the JIA’s approval of the construction of a pair of upscale hotels, one being the Jekyll Island Westin Resort and the other the Jekyll Island Club Hotel Ocean Suites, both of which will be part of the island’s Beach Village. There’s concern as well regarding what will be built to replace the demolished Buccaneer Hotel and Georgia Coast Inn, both of which featured moderately priced lodgings. To help preserve Jekyll’s affordability tradition, IPJI is sponsoring a “Let’s Keep Jekyll Affordable” petition, the online version of which has already been signed by more than 13,000 people; the print version by more than 8,000 people. The petition will provide a popular base for reaching out to state legislators, the Governor of Georgia, the general public, and the media on behalf of an affordable Jekyll. Press releases, editorials and social media, as well as letters, emails and phone calls to elected officials locally and statewide, will be the tools of choice for IPJI’s “Let’s Keep Jekyll Affordable” effort if push comes to shove. We encourage everyone who cares about the future of Jekyll Island State Park - Georgians and non-Georgians alike - to sign IPJI’s Affordability Petition and to share it with family and friends, neighbors and colleagues, and anyone else who might be interested in keeping Georgia’s premier state park affordable. Thank you for lending your support to the effort to preserve Jekyll’s affordability tradition! If you wish to receive updates regarding news about Jekyll Island, please join the Initiative to Protect Jekyll Island by clicking here. 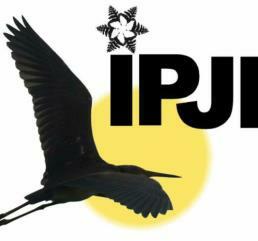 Membership in IPJI is free, the benefits are everlasting. Addresses will be kept strictly confidential.